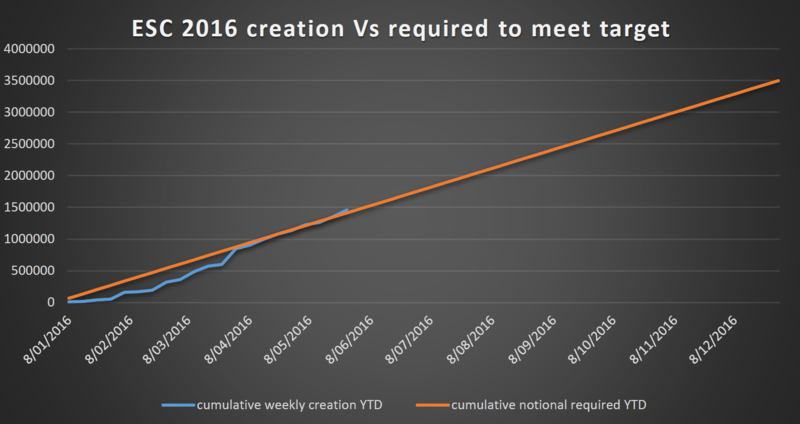 Creation of ESCs for the first 5 months of 2016 appears to be increasing steadily and now overtaking the ‘run-rate’ required to meet the target. While the effect of any cumulative under- or over-supply will have an influence on certificate prices, the rise in creation levels points to a potential shift in the demand-supply balance. The shift has also been seen in certificate prices in the market which have dropped $1-2 in recent weeks to trade in the low $26 range. 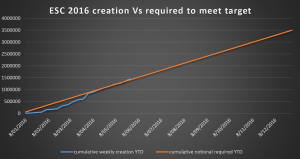 For the VEEC market, the demand-supply equation looks much more stark with more certificates being created on a weekly basis than is required to meet the 2016 target. The level of over-creation appears linked to moves by the Scheme Administrator to open up commercial lighting activities from 1 January 2016. Certificate prices have dropped more than $10 in recent months to last trade around the $18 range.